I really love the idea of Harajuku fashion, it really encourages people to dress however they want with no social pressures to wear certain things. I have a great postcard set with photos of many different Harajuku people on them, and little bios on the back. I was amazed how many of the people say they make their own clothes! 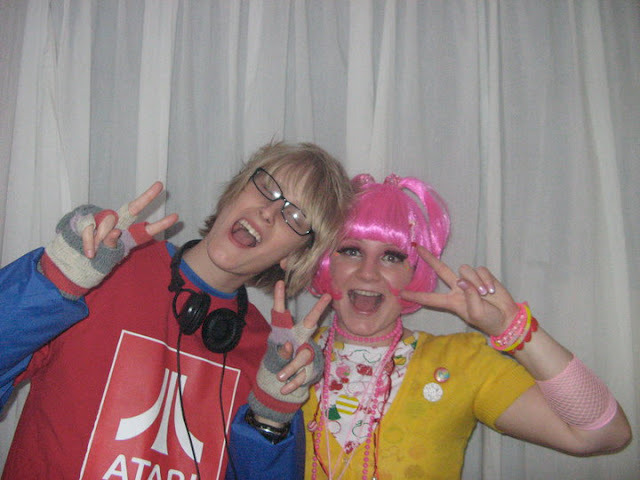 Several years back (pre this blog) I had a HUGE Toyko Street Fashion birthday party. It was probably the biggest, most expensive party I've ever thrown. I hope one day to go to Japan and join the Harajuku kids on their fashion walk!